The Pimple Popper toy is the most hideous thing I’ve ever seen. AS FAR as children's toys go, this is by far the most repulsive thing I have ever seen. I was strolling the aisles of the children's section at Kmart on the weekend (I only just realised how creepy that sounds) and came across an item that left me dry-retching. 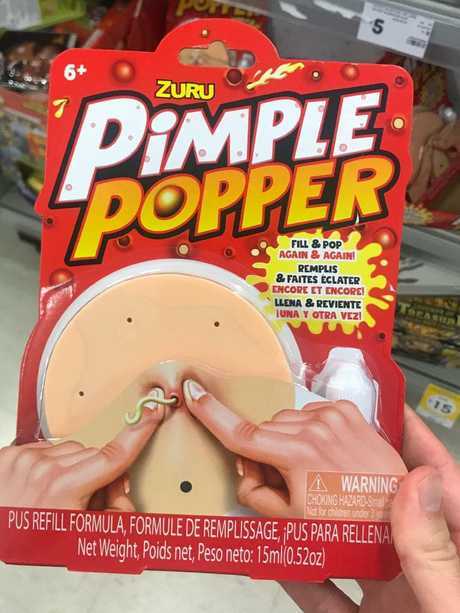 It was the Pimple Popper by Zuru, a toy that I honestly can't believe exists. It's basically a piece of flesh-looking silicone that has several holes in it which act as the pimples. It comes with a pimple formula (a bottle of fake pus) that you heat in the microwave and then inject into the holes. After a few minutes, you can squeeze the pus out of the pimples. It's probably pretty clear by now that I am not one of those sicko's who enjoys watching pimple popping videos on YouTube. I don't understand why some people find those videos satisfying or therapeutic. And I certainly don't understand why this toy exists. So you can imagine my horror when I discovered Kmart is selling another pimple toy as well. 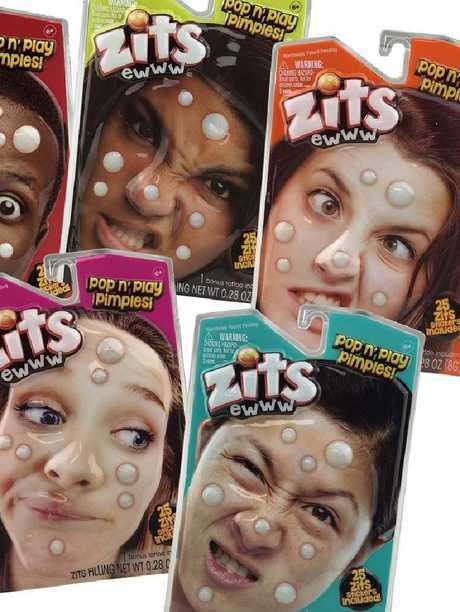 For $3 you can buy a 25 pack of Zits Pop 'n' Play Pimples which are basically fake pimples that you stick on your face and then pop. What is wrong with people? This kid does not look happy. Here's the thing about pimples, kids. They're not fun. Just wait until you're going through puberty when you'll inevitably dread looking in the mirror each morning before school, fearful that Mount Etna has popped up on your face overnight. 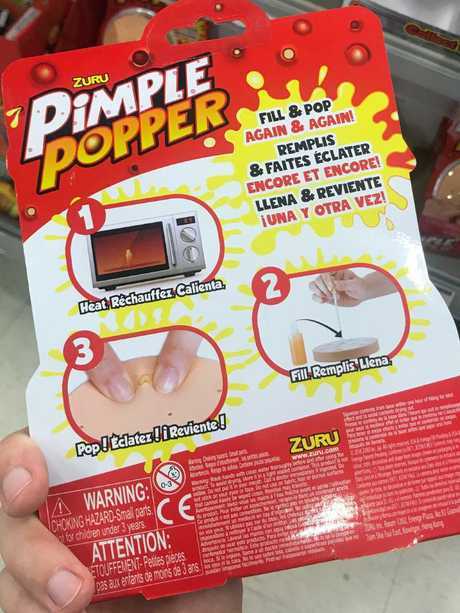 So if you're tempted to spend your pocket money or to ask Santa for either of these toys, perhaps choose something else and if you really want to play with pimples, just wait a few years and you can do it for free on your own face.